이 문서는 선조 37년(1604) 임진왜란 때 진주성 방어에 많은 공을 세운 이광악(1557∼1608)에게 상과 훈장을 내린 교서이다. 총 10면이며 각 면에 7행씩 총 62행으로, 재질은 명주이고 표지는 붉은색의 비단천이다. 이광악은 선조 25년(1592) 임진왜란이 일어나자 영남지방에서 선봉에 나서서 왜군과 싸웠고, 적이 진주를 포위하자 진주성에 들어가 목사 김시민을 도와 적의 침공을 막아냈으며, 진주대첩에서도 큰 공을 세웠다. 이 문서에는 이광악의 자질과 품성, 경력, 진주성을 방어하는데 그가 세운 무공과 공신에게 내리는 특전 등이 실려있다. 이 교서는 원래 한 장의 두루마리형태로 만들어져 있던 것을 후손들이 잘라서 앞뒤로 표지를 붙인 것이다. 크기는 가로 22.3㎝, 세로 41㎝이고, 교서지문면의 크기는 가로 22.3㎝, 세로 34㎝이다. 이 문서는 임진왜란 당시 진주대첩의 상황을 밝히고 공을 세운 사람에 대한 포상 정도를 살피는데 귀중한 자료이다. 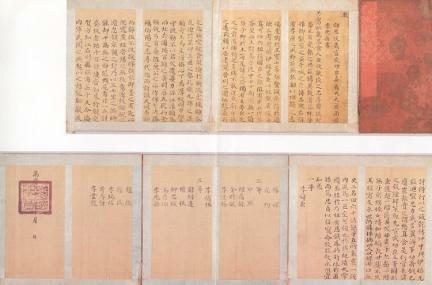 This royal certificate was issued in 1604 (37th year of the reign of King Seonjo of the Joseon Dynasty) in recognition of the remarkable achievement of Yi Gwang-ak (1557-1608), who protected Jinjuseong Fortress during the Japanese invasion in the late 16th century. 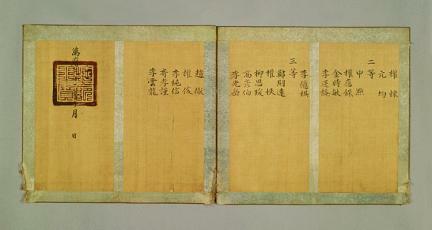 As a whole, it contained ten pages each of which had seven lines. 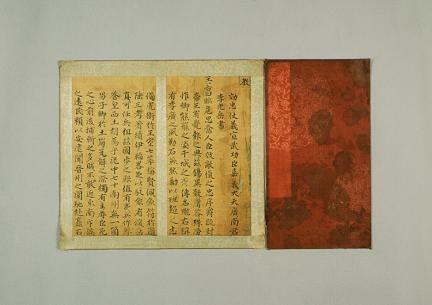 Each page was made of silk, whereas its cover was made of red silk. Yi Gwang-ak led the troops in the Gyeongsang-do area during the war. When Japanese enemies besieged Jinju, he went to Jinjuseong Fortress to protect it from the invasion along with Governor Kim Si-min. 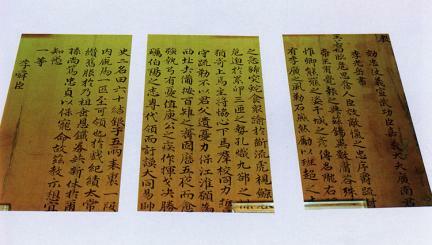 He also rendered a meritorious deed in the Battle of Jinju. 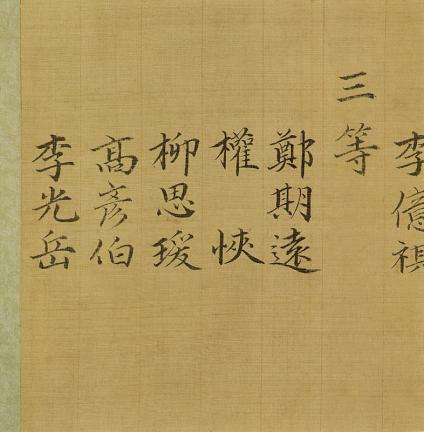 This certificate mentioned the character and achievements of Yi Gwang-ak as well as the benefits conferred on him as a meritorious subject. It was originally a roll of paper, but the descendants had it cut and put the covers. 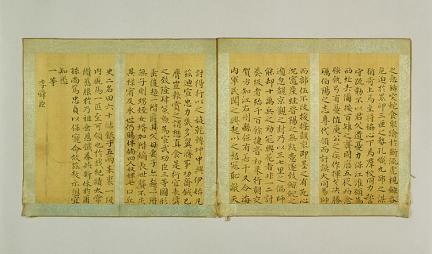 It measures 22.3 cm wide and 41 cm long, whereas its text is 22.3 cm wide and 34 cm long. It is a valuable material in studying the Battle of Jinju during the Japanese invasion and the level of prize awarded to deserving retainers.